A 2000 year old treatment that originated in China which involves inserting needles in specific points of the body. The needles are completely sterile and are discarded once used. Previously thought of as an alternative treatment that now has lots of research to prove its effectiveness. The needles are very fine and therefore not painful. The alignment of all your joints and muscles has an effect on how you walk, your posture and how you move. 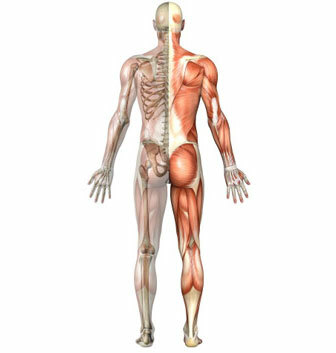 If you are ‘out of alignment’ this can cause, pain, stiffness, muscle imbalance and weakness. At Ruislip Physio we assess this fully and through various techniques attempt to help you alignment. Techniques such as taping, orthotics, mobilisation, exercise, etc. This involves any treatment using a machine. At the practice we use ultrasound, TENS, electroacupuncture and interferential for various conditions to reduce pain and improve recovery. This is an assessment and correction of you in your environment (normally work). Do you sit at a computer all day and are your computer, table, mouse, and chair, all in the correct position? This can also apply to standing working stations and driving positions. If you are in a sustained position for long periods of the day, it is important that your environment is set up specifically for you. We assess this and adjust appropriately. Depending on your injury we will give you appropriate exercises to improve your condition. Once your pain has gone we will also give you an exercise program to prevent reoccurance. This is quite a vigorous treatment that involves the therapist rubbing his/her fingers firmly against specific tendons or ligaments. It works very well in speeding up the healing process and gets you back quicker to sport and work. Clicking of joints to improve movement, alignment, pain and muscle spasm. This treatment is commonly associated with a chiropractor or osteopath; it is also a physio technique. Please see our page on physio, chiropractors, osteopaths. We use various massage techniques depending on your injury including sports massage and trigger point release. Massage can help with muscle spasm, muscle tears or muscle spasm. Mobilisation involves the physio pushing on your joints with the aim of improving movement, reduce pain and muscle spasm. This is a lighter less painful version of manipulation. The most commonly thought of orthotics are supports put in shoes that help with alignment of feet including excessive pronation or under pronation. At Ruislip Physiotherapy we use an orthotic that can be individualised to each foot for each patient. They can benefit anyone from keen sports people to the less active. Pilates is a form of exercises that encourages the use of your core stability muscles; the main one being transverse abdominus. By improving your core stability, it can improve posture, biomechanical alignment, improve your back strength and stability and reduce pain and muscle spasm. Our physiotherapist and pilates instructors work alongside each other to help the patient recover and stay that way. For further information visit the Ruislip Pilates website. A postural assessment can look at your sitting posture, standing posture or how you move (dynamic posture). In modern day life this is very important as most people find themselves stuck in one position for long periods of the day e.g. sitting at work, standing on a train or having to lift repetitively (like a child or manual labour). Poor posture very commonly gives pain and because of this it is something physios treat on a daily basis. Where there is a necessity to immobilise a joint to protect it, we can order and fit the appropriate splint, brace or support. This can allow the joint to recover or can help you get back to normal activity, like sport. There are various taping techniques to help your rehabilitation and posture, as well as protecting you from injury. This may include helping to sit correctly or to supporting your ankle so you can finish that game of golf or tennis. This is a little machine that is very good at easing pain. It works by interfering with pain signals going to your brain. Can be very good for acute pain as well as chronic pain. Manual traction is a very relaxing procedure that can improve movement, reduce pain and muscle spasm. The aim is to put a slight traction force through a joint to reduce the pressure.